This winter USA was covered so cold wave, air temperature was -35C. 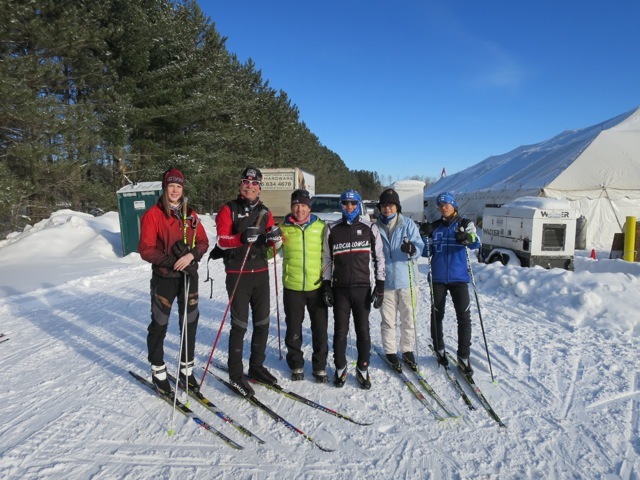 But, Birkie Tour week end was a lucky pocket, temperature was mild -7C at noon. It was a wonderful day, no wind, sunshine, blue sky and ski truck was groomed perfect!! Skiers were about 600, no tip, no bib and no record. 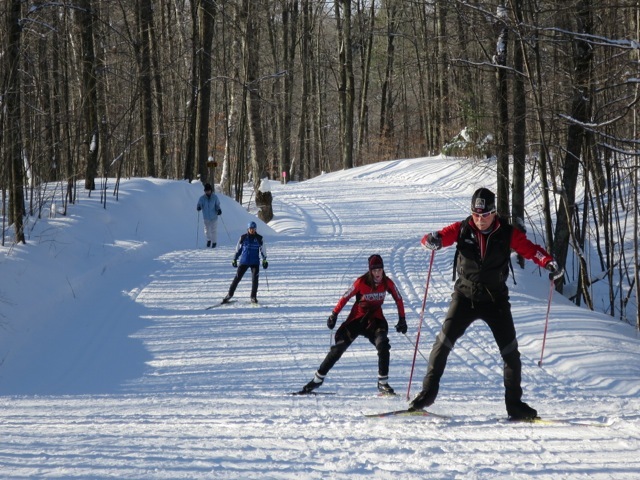 Tour course is start from Birkie Ridgi Trailhead to OO cabin and return to the start was short tour 25 km, long tour was added from OO to Gravil food station and return 44km. 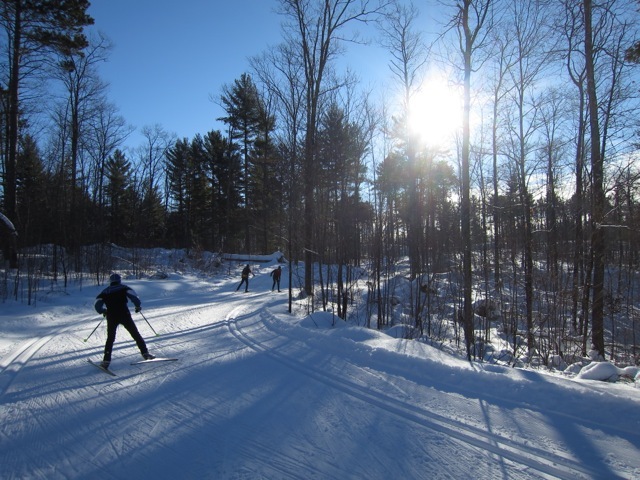 We enjoyed XC ski very much under such a excellent condition. It was so quiet in woods, we heard only snow sound by skiing under the cold temperature and birds song. Time past gently we swim in atmosphere of Wisconsin. After the Tour skiers enjoyed lunch time chili food with wine, beer and music in a warm big tent. Birkie Tour is quite different world from Birkie Ski Race, Another world! I love Birkie Tour! !